So I am now back from the trip to Cuba... To say that the trip wasn't fun isn't accurate I had some pretty amazing times while away. However, with that being said I can definitely say that I could use another vacation. As you may know the purpose of the trip was a retirement present for my mother-in-law. The trip has been in the works for nearly two years and we have taken two other trips (one to Mexico and one to Punta Cana) to ensure that the decision to head to Varadero was the best one. The entire reason we decided on Cuba is because my father-in-law does not like beaches or sun. If you have ever heard me talk about previous trips, you would know that sand is the necessary evil between concrete and ocean. So Varadero was chosen for the proximity to Havana and the possibility of taking a day trip to visit the historical city. Now I will post a full review later of the hotel and airline. 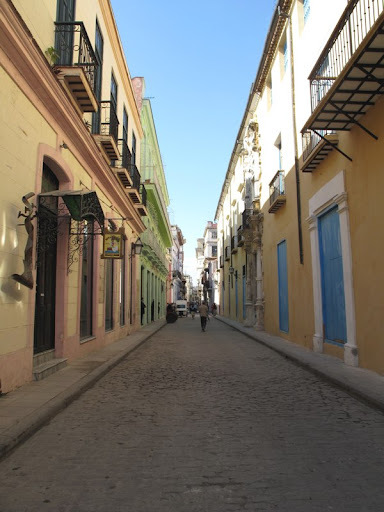 But I want want to say this - the private tour into Havana opened my eyes to a reality that I hadn't seen before. Also the staff at the Blau Varadero were beyond amazing and the staff for Sunwing were fantastic!